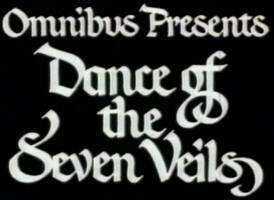 A Musicological Study of Ken Russell’s Composer Films – Part 5 (Dance of the Seven Veils). When approaching a cinematic portrayal of Richard Strauss, Russell is, for the first time in his biographical canon, openly honest about its position within cultural texts. Dance of the Seven Veils has a sub-heading that reads “A comic strip in 7 episodes on the life of Richard Strauss” which is the first open admission that this is far from a factual retelling of a composer’s life. This could easily be a description applied to other films from this period and afterwards too; the description of comic strip is Russell openly acknowledging the creative prism of himself and all that the cultural material must first pass through in order to be created. This comic strip allows Russell to address, quite frankly with bias, the complicated political life of the composer rather than merely his creative endeavours and the processes around them that had been the focus of most other composer films. The film instead gives a mocked up, fictionalised account of Strauss’ dilemma when facing the up rise and subsequent ruling of the Nazis in the Second World War; a difficult and much debated subject in musical history. If the film had been made alongside his other composer films of the previous period, where form was used as a subtle method of questioning, then perhaps Seven Veils would have been better received. It was, however, made when Russell was in his transitional period; where the Russell prism was being given more focus and more control over the factual and cultural subject matter. The film is more than simply comic book in its style but that of a very British type of satire, highlighting Strauss as a pompous, ridiculous character. In fact, Seven Veils portrays Strauss simultaneously as an egotist, Zarathustra himself, a Nazi, a Don Juan character, and a foot fetishist. It is perhaps understandable then that the Strauss family foundation has suppressed the film, meaning that viewing it is only possible illegally and online. More than simply controversial though, Seven Veils shows a natural evolution to the form of the symbolic montage that had been gradually building throughout the director’s work. The Music Lovers took the audio-visual technique to a different, more sympathetic place quite clearly because of Russell’s own personal affection for Tchaikovsky. No such sympathy lies for Strauss who clearly committed (in Russell’s eyes), the gravest of creative crimes; sympathising with oppressors and fascism. This would be yet another theme that would become apparent when discussing Wagner in later works but Seven Veils is the first instance where Nazi imagery is controversially tied in to a composer’s music. Strauss’ Sunrise from Thus Spoke Zarathustra is used to several unnerving effects in this way; firstly used as entrance music for Strauss himself conducting the piece from a deliberately furher-like stand and then later as the entrance music for Hitler (the supposed savoir and son of Germany). Where the film does stray into controversy is not simply in these scenes where images of Nazism are tied into Strauss’ music (as well as his obvious passion for Nietzsche) but where the starting point for his change of heart in support for the government is placed. Numerous sources (and the film itself) profess Strauss to be neutral – to be rather apolitical and stuck in the middle of an unfolding, dire situation in Europe. For Russell, the idea of compliance through lack of resistance is altogether present, perhaps explaining the rather damning portrayal of the composer as a selfish, uncaring member of the bourgeoisie who quite literally chases his critics through forests when they criticise his work. All seven of its chapters use the idea of the symbolic musical montage to address these ideas, moving on from the more romantic ideas of The Music Lovers to more critical and obviously auteur controlled opinions. Both The Music Lovers and Dance of the Seven Veils are stepping away from Russell’s more basic designs in questioning the historical and the cultural values of classical music. Though used for entirely different purposes, the symbolic nature of the visuals and the increasingly thematic use of the music-based montage suggest the beginning of Russell’s transitional period. In this period, he would address the issues of class, culture and politics more inherently in his work, especially in The Devils (1971) and The Boy Friend (1971) but it was not until his 1974 composer biopic, Mahler, that the director would again use aesthetics and the prism of his own musical reception to affect the historic and the artistic portrayal of a real life composer. American Interior (2014) – Gruff Rhys and Dylan Goch. 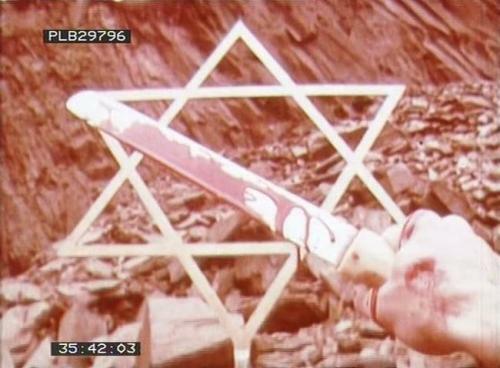 A Spell To Ward Off The Darkness (2013) – Ben Rivers + Ben Russell.